Saying goodbye is always hard. But it’s inevitable. We can’t avoid those times when we have to say farewell to people. 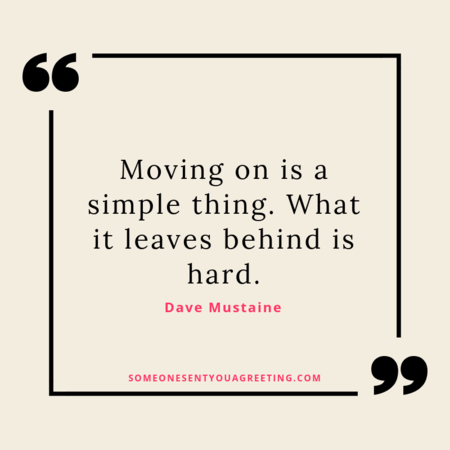 Life, and people, move on. New jobs, houses, changes in relationships and unfortunately death all occur on a regular basis. So we are constantly having to wish people farewell from our lives. But that can be difficult. Often we don’t want these people to go. So when saying goodbye we want our words to reflect that. To show how important or special that person is to us. Most of us won’t have the ability to express those feelings in a fitting sentiment though. That’s why it can be helpful to use the words of other people. Famous writers, poets, politicians, celebrities and more have all made famous and insightful farewell quotes and comments. 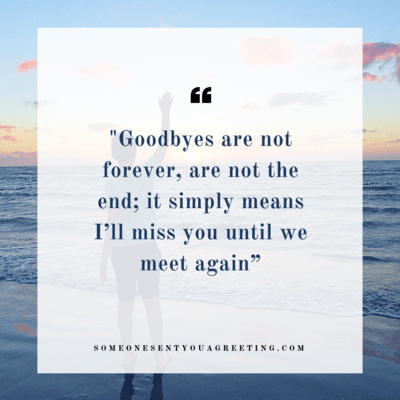 So if you’re struggling with how to say goodbye to a friend, family member or colleague try one of these farewell quotes and sayings. They’re perfect for closing a letter, email or even a conversation and showing how much you will miss them. Hopefully they will help you to get your true feelings out in words that do them justice. 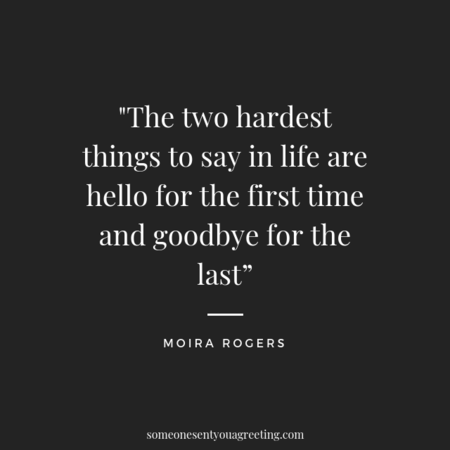 These are general farewell quotes that work well if you’re struggling with the best way to say goodbye. They should fit most situations or scenarios. A friend leaving can be heartbreaking. 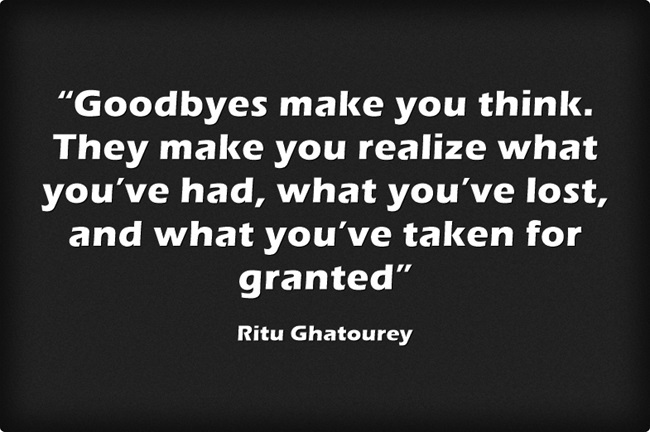 Make sure they know how special they are and how much you will miss them with these quotes. 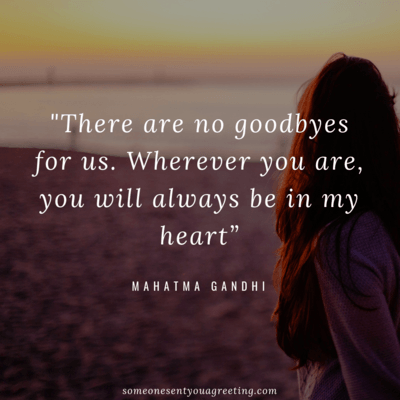 Even though saying goodbye is sometimes so hard it can also be a source of inspiration. 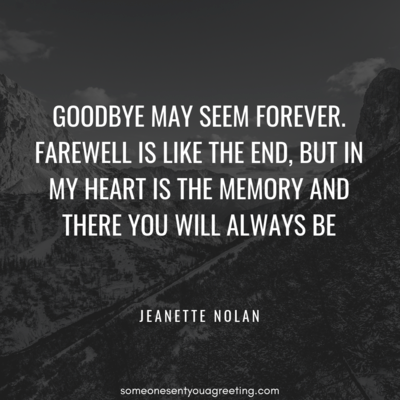 Use these quotes if you want to find some good in saying farewell. A farewell to someone you love is the hardest goodbye you can have. 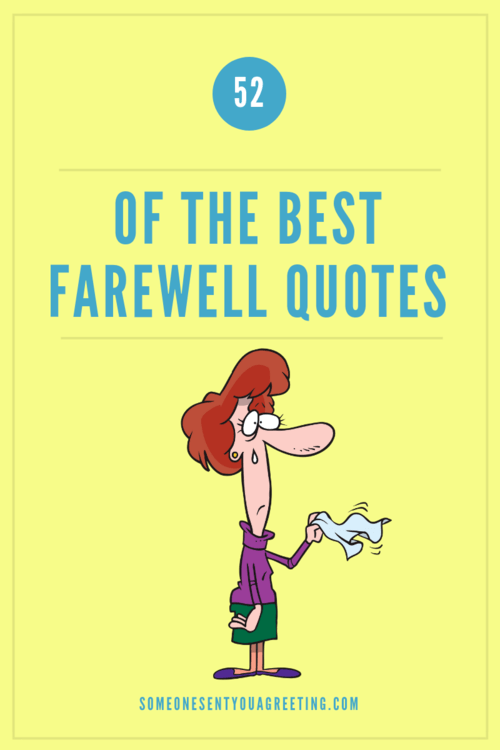 If you want to show a loved one just what their leaving means try one of these farewell quotes.